Love is in the air. The shops are full of cards pulsating with red hearts covered in glitter and on my desk is a pretty red morocco almanac, Rider’s British Merlin for the year of our Lord God 1787, which tells of a marriage. 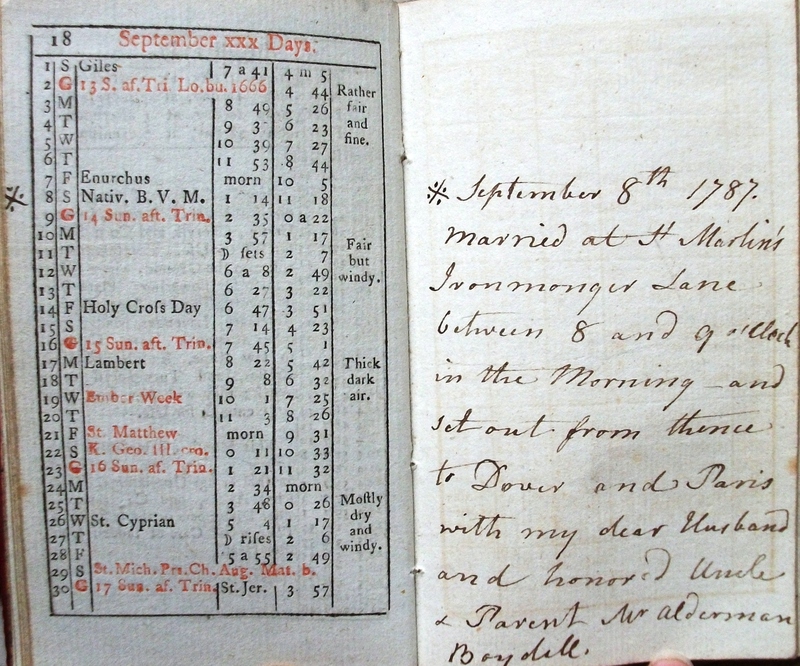 The almanac belonged to Mary Boydell (1747-1820), a renowned beauty and niece of John ‘Alderman’ Boydell (1720-1804), a publisher and print seller who was then at the height of his fame and influence. Mary had been brought up by Boydell and, on the death of his wife Elizabeth Lloyd in 1781, she took over the management of his household. Her almanac reveals that she moved in the highest circles of society and that she was also a business woman involved in her uncle’s publishing enterprise. Thus we read of “Lord Shelborne’s invitation to Breakfast with him and to see his Library and Collection of prints” and “Any Books bound in France to be done by De Rome. Rue St Jacques a Paris. (Mr Edwards recommendation)”. The son of a land steward and the grandson of a parson, John Boydell spent his early teenage years in Flintshire where his father worked for Sir John Glynne. There he saw a large print of Hawarden Castle which influenced his decision to become an engraver. He moved to London as an apprentice to the engraver W. H. Toms and bought out his final year in order to set up on his own in 1746. Through a combination of hard work and strong business sense Boydell’s fortunes improved rapidly. He established links with publishers in France and Germany and imported sophisticated engravings from the continent. Then, seeing a business opportunity, he sponsored the creation of high quality British engravings. Print mania had taken hold of the aristocratic and middle classes. It was the fashion to paper the walls of a room with engravings and Alderman Boydell was the foremost publisher and supplier of excellent quality prints. As a result he became a wealthy and influential man. At the end of 1786 John Boydell embarked on his most ambitious enterprise: the project to publish an illustrated edition of Shakespeare’s plays, an edition of large engravings from Shakespeare and the creation of the Shakespeare Gallery in Pall Mall. His partners in this enterprise were his nephew Josiah Boydell (Mary’s brother) and George Nicol (1740-1828), the King’s printer. Josiah was to manage the workshop of engravers in Hampstead and Nicol was to oversee the presswork. Mary’s almanac is for the year 1787 at the height of activity at the start of the Shakespeare project. 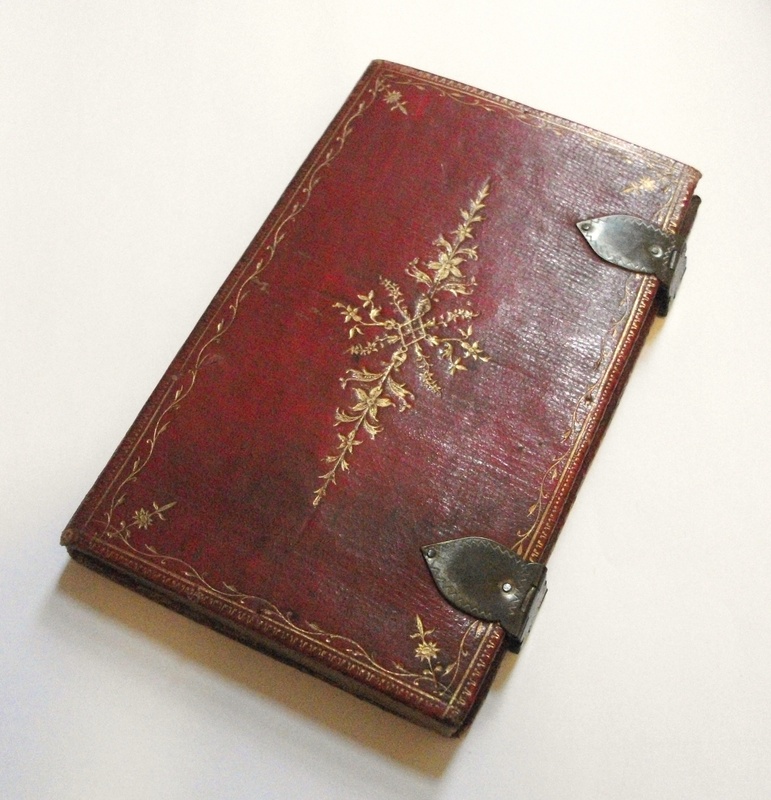 The almanac is interleaved with blank pages which Mary has used to make notes which give a fascinating insight into her life at the time, ranging from information about books and prints to the state of her finances and of course the entry about her marriage. Despite, or perhaps because of, her beauty Mary’s romantic life had not been smooth. She had an unhappy love affair with Ozias Humphry, a miniature painter, who left England for India in 1785 to paint portraits of rajas and Englishmen abroad. Her next suitor was the Cambridge alumnus and scientist Dr John Elliot, but she went on to reject him in favour of George Nicol, her uncle’s business partner. John Elliot took Mary’s rejection very badly – so badly that on 9 July 1787 he tried to shoot her from close range while she was out walking with Nicol in Soho. This notorious incident was reported in the ‘Gentleman’s Magazine’ and in the ‘British Mercury’ which recounts “Providentially, though they were so close as to set fire to the lady’s cloak, yet by the balls glancing on her stays, she received only a slight contusion under the shoulder”. Unfortunately Dr John Elliot did not escape so lightly. He was taken to Newgate prison to await charges for the attempt on Mary’s life. In prison his refusal of food and water led to his death on 22 July. It must have been a traumatic time for all concerned. Reader she married him! 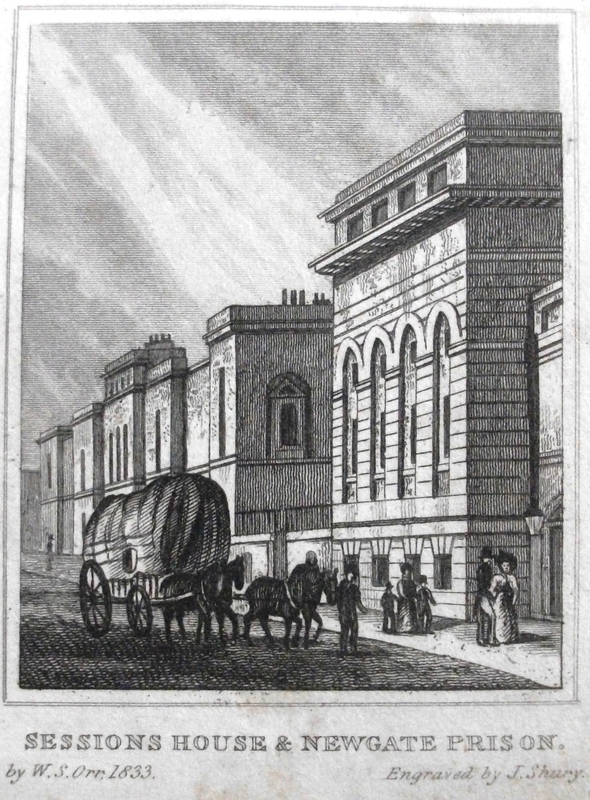 Entered in a regular and confident hand the entry for 8th September 1787 reads, “Married at St Martin’s Ironmonger Lane between 8 and 9 o’clock in the Morning – and set out from thence to Dover and Paris with my dear Husband and honored Uncle & Parent Mr Alderman Boydell.” Mr and Mrs George Nicol travelled to Paris with the Alderman – perhaps not the most romantic of honeymoons! But, ever the business woman, Mary combined business with pleasure. Just a year before, in 1786, she had travelled to Paris with Alderman Boydell on publishing business and now that her new husband was Boydell’s partner it was natural for them all to travel to Paris together. Mary makes no further entries in the almanac after her wedding day. However, it was likely to have been a happy marriage. They had much in common, united by a love of books and by business ties, and it seems that Nicol’s temperament was good. The Oxford Dictionary of National Biography describes him as “courteous and tactful in business” and according to the Gentleman’s Magazine he was “not a bookseller but a gentleman dealing in books” (GM, 98/2, 279). Mary Nicol continued to play an active part in her uncle’s life. When the Alderman rose to be Lord Mayor of London in 1790-91 she was his Lady Mayoress. Unfortunately the French Revolution affected the English economy and cut off an important export market for Boydell’s prints and the vast scale of the Shakespeare project brought his finances to breaking point. By 1804 the Boydells were forced to conduct a lottery to dispose of the Shakespeare Gallery and its contents. Sadly the Alderman died before the lottery could be drawn, however it raised £78,000 for the business (now in the hands of Josiah). 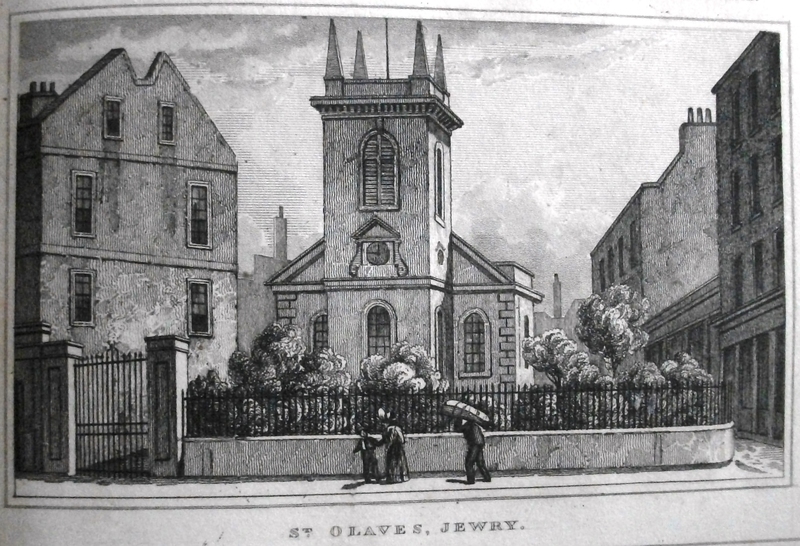 As a final act of devotion Mary Nicol paid for a bust of the Alderman and a memorial tablet in St Olave Jewry where he was buried. This small almanac is a remarkable survival. A bookplate in the front of the volume reveals that it once belonged to the library of the author Hugh Walpole. It came to Trinity Hall as part of the library of alumnus and bibliophile Lawrence Strangman (1908-1980). Rider’s British Merlin for the year of our Lord God 1787. London: printed by the Company of Stationers, 1787. John Boydell, 1719-1804 : a study of art patronage and publishing in Georgian London / Sven H.A. Bruntjen. The Boydell Shakespeare Gallery / edited by Walter Pape and Frederick Burwick, in collaboration with the German Shakespeare Society. Boydell’s Shakespeare gallery / Winifred H. Friedman. This entry was posted in The books themselves and tagged Alderman Boydell, Mary Boydell, Print mania, Print sellers, Shakespeare Gallery, Strangman Collection. Bookmark the permalink.